Keep a gentle glow going with delicious scent filling the air for even longer! 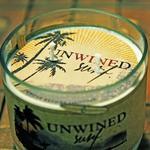 From our eco-friendly Unwined collection, we offer the Surf "XL" Candle for your home candle collection. The use of candles creates a relaxing atmosphere instantly. 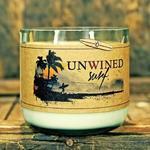 Create the ambiance you are looking for with a scent from our popular Unwined Candle Collection. These 18 ounce extra large candles provide you with a 110 hour burn time. These are candles that are housed in recycled wine and beer bottles that are collected, cut and polished. 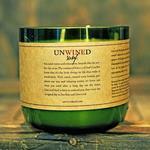 All natural soy wax is infused with incredible scent and a 100% cotton wick is added. 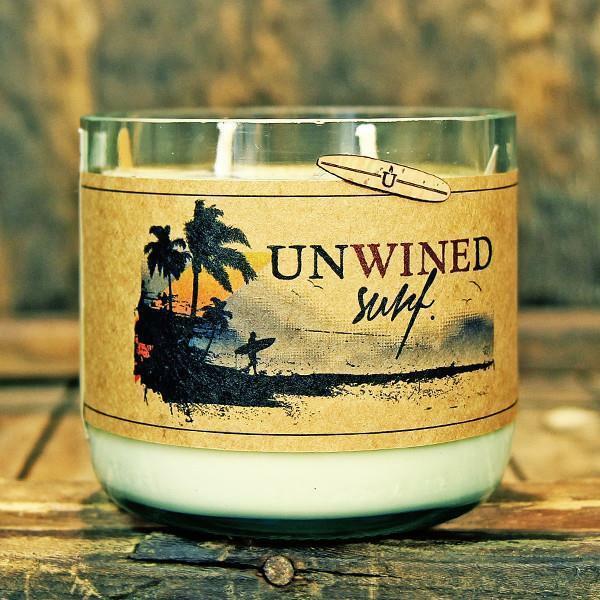 The Surf XL Candle is featured in an extra large wine bottle. These chic, environmentally friendly candles look stylish anywhere in your home and go with absolutely everything! For the bathroom, dining room, outdoors, living room, foyer and more, we have a scented candle for you. Choose from these fun fragrances we know you will love.